FRIENDS brings adults of various ages together for friendship, fellowship and fun. FRIENDS activities have included bowling, progressive dinners, Christmas parties, an Amish dinner, card nights and other events. 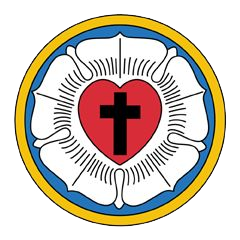 LWML is the official women’s auxiliary of The Lutheran Church—Missouri Synod. The LWML focuses on affirming each woman’s relationship with Christ, encouraging and equipping women to live out their Christian lives in active, mission ministries and to support global missions. Men gather once a month for devotion, dinner and fellowship. Typically the group will have a speaker or other type of programming. The men also plan outings for couples and families that have included attending a Sweetheart Dinner (near Valentine’s Day), or attending a University of Tulsa football game or a Driller’s baseball game. Prime Timers are believers who are generally over the age of 55 and who are looking for Christian friendships and fellowship. They meet once a month for a luncheon and a program (usually a speaker). At times they have outings to various places. Women of Trinity meet every other week on Mondays at 9:30a to make quilts for missions. After quilting, they go to lunch. No experience required!